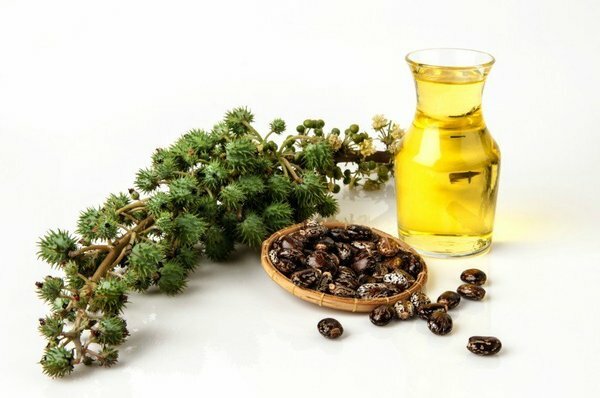 Castor oil is extracted from the Castor seed. Castor oil contains fatty acids such as Ricinoleic acid, Linoleic acid, Oleic acid. You can massage a small amount of Castor oil into hair and scalp to stimulate hair growth. Castor oil is fantastic for treating thinning hair, dandruff, split ends, serves as a moisturizer and hair conditioner. It is one of the best essential oil for hair regrowth. Not limited to skin, castor oil also has some significant benefits for health. Before I talk about the beauty benefits of castor oil, Let's dive into the health benefits first. 1. Treat Immunity: Castor oil is believed to improve lymphatic drainage, blood flow, increase white blood cells, and other immune system function. 2. Treat Constipation: Castor Oil may clean out your intestine before a bowel movement. Castor Oil is known as a stimulant laxative. Therefore it is used to treat constipation. Castor Oil should not be taken long-term. 1. Dry Skin: Castor Oil is an excellent moisturizer. It keeps the hydration in the skin. It is high in concentrated fatty acids that penetrate into the skin quickly. Castor Oil may have humectant and is an excellent emollient for dry skin. It can also help to cleanse and detoxify the skin. 2. Sunburn: With its anti-inflammatory properties, Castor Oil will help reduce pain and redness which is associated with sunburn. To help soothe sunburn, apply equal parts of castor oil to equal parts coconut oil and apply to the affected area. 3. Long Lashes: Apply some castor oil to your eyelashes and leave it on overnight. Enjoy the results after a month. 4. Treat Split Ends: Castor Oil will tame your frizzy hair and treat your split ends. Try this home remedy to revive your hair. Section hair into four parts, apply castor oil to each section from root to tip. Cover your hair with a plastic shower cap and let your body heat help treat your hair. Wash your hair and style like you normally will after 30 minutes. Castor Oil is rich in moisture and penetrates deeply into the scalp to condition your hair. 5. Dandruff: Castor oil has antibacterial and antifungal properties that will fight dandruff on your scalp. Warm some castor oil and massage into your scalp. You can leave it on overnight for maximum results, or you can wash your hair after 20 minutes. 6. Hair Growth: With a high amount of Ricinoleic Acid found in Castor Oil, this oil will help increase circulation to the scalp to improve hair growth. Do you use Castor Oil?